Divorce and custody issues impact many families and can be particularly daunting for parents of children with special needs. There are many more moving parts and no formulaic solutions for these unique families. At The Child and Family Law Center of the North Shore, we now devote a portion of our practice to divorce, parentage and post-decree issues. It has been a challenging but an important and interesting part of what we do. In counseling families in the midst of a divorce, we have developed a checklist for things to consider in preparing the Parenting Agreement and Marital Settlement Agreements. The new state statutes in Illinois have eliminated the words custody and now reference instead decision making and parenting time. 1) Will the child have a primary residence? What school will they attend? If parents live in separate school districts which district offers the best services? 2) What is the best parenting schedule for my child? Can they manage several transitions each week? If not how can two households manage the parenting time? Who has attended, most if not all of the IEP meetings? Who takes the child to the physician when necessary? Who is most familiar with the child’s therapists? Does one person prefer not to be the primary decision maker and are they comfortable consulting the other parent? Do you both agree on the necessary interventions and services? Are those affordable following the divorce? Do you both agree on the diagnosis? 4) Do you agree on the financial arrangements that are needed for your special needs child? Child Support- the court may order additional child support and a departure from guideline support. This requires a case by case analysis. 5) Will one person stay home to manage the care? If so, can the family afford to do this after the divorce is final? 6) Will the child be able to attend college? Live independently? Work? 7) What should we do as a family to prepare for our child’s life after school is over? We represent clients and families in Family Law Matters where special needs issues impact decision making and planning. 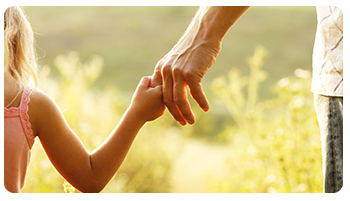 SPECIAL NEEDS DIVORCE ILLINOIS | The Child & Family Law Center of the North Shore, Ltd.